Have you ever looked in the mirror and wondered, “Why am I not losing weight?” It’s not just you. What happened to those wash-board abs, that rock-hard body? Age, stress, hormones, and poor diet can all contribute to weight gain. If you’re not losing weight the way you used to, this page can give you some tips on how to lose love handles and regain your sense of self-confidence! You may think you need to know how many calories to eat to lose weight, but focusing on calorie-counting may actually do more harm than good. Most men believe if they eat less, they lose love handles. Not necessarily. When you repeatedly skip meals or deprive yourself at the table, your body goes into starvation mode. This happens because back when we were cavemen, there wasn’t a grocery store down the street. Some days, the hunt was good and you ate well. Other days, you went hungry. The human body has a type of fail-safe built into its DNA. When food is scarce and caloric intake is low, your body hangs on to whatever morsel of fat it receives. Months or years of caloric deprivation can cause your metabolism to slow down considerably. You may lose the weight at first but when you start eating a “normal” amount of calories again, you’ll gain it all back and then some. For a man to lose weight the healthy way, it’s important for him to understand about nutrition and how to use food properly. When you’re on the go, it’s hard to resist the temptation to hit the nearest fast food restaurant or vending machine. 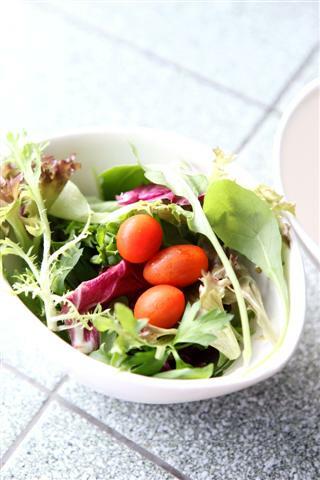 Believe it or not, with a little preparation, you can eat healthier. What does your breakfast usually look like? Cup of coffee? Donut? Bagel slathered with cream cheese? You’re not going to lose love handles that way, guy. You may not have time for a continental breakfast but you can make healthier choices, even when you don’t have much time. There are plenty of lazy breakfast ideas for the busy professional. The protein shake is a popular favorite. This might be a mix of milk, fruit, nut butter, flax seed, and yogurt all blended together. That’s a healthy dose of energy in a cup! Some other great healthy breakfast choices include bananas, cheese, yogurt, and whole-food bars. Remember, just because it has to be quick, doesn’t mean it has to be “fast”. If you’re not losing weight, no matter how healthy you eat, you might want to consider adding some foods that naturally increase your metabolism. Green Tea – According to research done at the University of Geneva, green tea can help boost your metabolism naturally. Not only does it contain energy-boosting caffeine, it also contains compounds called polyphenols that help boost metabolism in your liver. Cayenne and Other Hot Peppers – Ever wonder why there are so few heavy Indian people? Their secret is the liberal amount of cayenne pepper they use in their food! The chemical ingredient capsicum helps fight inflammation and boosts metabolism by up to 30%! Coconut Oil – Coconut oil is the ultimate in healthy, consumable fat. For men trying to lose love handles and weight, this is the way to go. The medium-chain triglycerides in coconut oil boost your metabolism naturally. Use coconut oil for medium-high frying or scoop a tablespoon into your morning shake for a healthy energy boost! Oatmeal and Other Fiber-Rich Foods – Maintaining a healthy weight and losing that spare tire might be as simple as eating more fiber. Fiber takes longer for the digestive system to break down, preventing sudden sugar spikes and keeping you fuller longer. Good fiber intake also increases your natural elimination, which can cut down on embarrassing gut bloat. 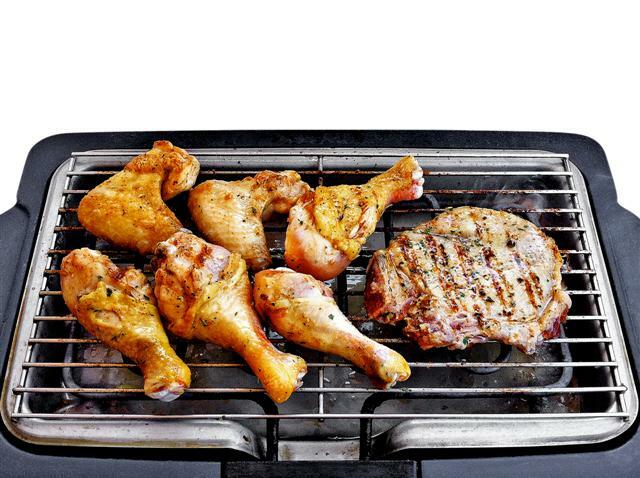 Lean Beef and Chicken – Your body needs protein. The more calories you can get from protein, the better. This is because it takes longer for the digestive system to break down protein-based foods, boosting the number of calories burned. Soda – Nothing kills your weight-loss goals faster than high-fructose corn syrup and soda is LOADED with it! Despite what you may have heard sugar is not just sugar. According to scientific research, high fructose corn syrup can contribute to obesity because, unlike glucose, it does not tell your brain when it’s full. Margarine – Guys, this stuff is one molecule away from plastic. It’s not healthier for you! When it comes to healthy fat, butter is better and completely natural. In moderation, it actually helps your gut better digest food! Cold Cereal – This doesn’t mean every box of cereal in the aisle is bad for you. However, most commercial cold cereals contain nothing but sugar, additives, and preservatives that are only going to make you pack on more weight. Fruit Juice – This one may surprise you but have you read the labels on these things? So many commercial fruit juices are nothing more than non-carbonated sodas in disguise. Think added sugar, preservatives, and food dyes. Yuck. Skip the fruit juice and just buy the whole fruit. Or, juice it yourself. Beer – C’mon men, they don’t call it a “beer gut” for nothing. Either cut beer completely out of your diet or limit your intake to one light beer per day max. Years of dining on fast food, soda, and microwave meals may have left your body with a few nutritional holes. Adding whole-food vitamins to your diet can help fill in these gaps and keep you feeling and looking your best. Sometimes you just don’t have the time for exercise but you won’t lose weight on healthy eating alone. Your body was designed to move. In order to lose love handles and build muscle, it’s important for men to get an equal combination of cardiovascular exercise and strength training. 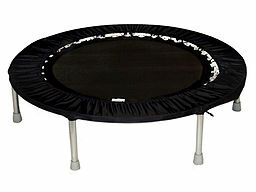 If you don’t have time to hit the gym, think about getting a rebounder, better known as a trampoline. A small rebounder can fit in nearly any corner of your home and can give you a full-body workout in a short amount of time. You don’t have to stay inside and pump iron to get a good workout. Hitting the hiking trails, jogging, running, or taking a brisk walk is a great way to get the exercise you need and the fresh air your body craves. You don’t have to spend hours at it; just twenty to thirty minutes per day is enough to keep your metabolism up and your weight down. Strength training is important to build muscle and keep your body burning calories at a higher rate. Lunges, pull-ups, push-ups, and crunches are a healthy way to build muscle without the need to expensive equipment. These types of exercises are also an ideal way to stay in shape when you’re on the road. Not losing weight isn’t always about your diet or fitness level. One of the most commonly-overlooked causes of weight gain is poor sleep. When you don’t get adequate sleep, your body loses a hormone called leptin. When leptin levels decline, your brain has trouble telling when you’re full so you tend to overeat. Lack of sleep also increases the body’s stress hormone, cortisol. This is a common cause of that annoying spare tire. Every man is different but most guys need at least 6-8 hours of sleep each night to function at his best. Remember, if you want to lose weight and keep it off, you’ve got to start with the first step. This means healthy nutrition. Leave junk food for a once-in-the-while treat and focus on filling your body with more healthy choices. Don’t think about how many calories to eat to lose weight, concentrate more on how much good nutrition you need to stay fit. Trade soda for water and kick up your cardio. A journey of a thousand miles begins with a single step. Are you ready to take it? You exercise. You eat right. You’re still having trouble using weight. Need a little help? Acai Berry Select Cut – A lot of guys shy away from the whole “weight-loss” pill thing. After all, most of that stuff is just legal speed right? Not Acai Berry Select Cut. This stuff is different because this stuff works! Unlike commercial diet pills which promise impossible results, Acai Berry Select Cut contains pure acai berry, which fights the free radicals that can cause belly bulge. This potent weight-loss solution gives you the edge you need by detoxifying your body and boosting your energy. There are no synthetic chemicals in Acai Berry Select so you can be sure you’re no going to get any weird side effects like heart palpitations or shaky hands. The acai berry will boost your metabolism while the green tea and L-theanine extract gives you energy to burn. Need a little extra help? Get it with Acai Berry Select!